You'll be £19.99 closer to your next £10.00 credit when you purchase Loose Ends and Extras. What's this? Order within the next 7 hours, 12 minutes to get your order processed the next working day! 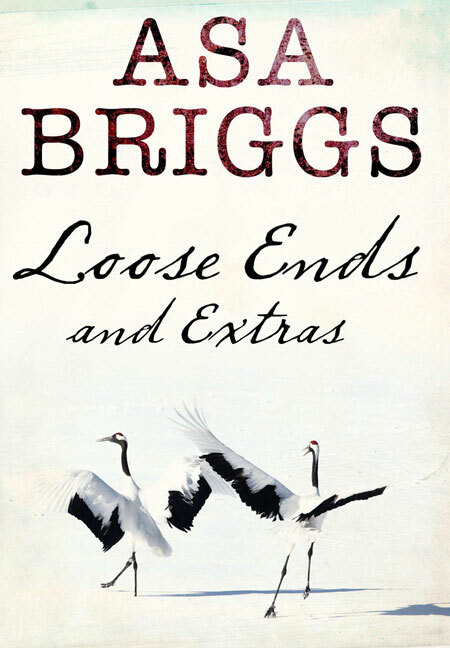 Loose Ends and Extras is the last in a trilogy of books Lord Briggs has completed since his 90th birthday in May 2011. Following on from Special Relationships: People and Places, it deals with our relationship with time, and the differences between memory and history, in the context of his long and remarkable career. For example, as the official historian of the BBC, he worked closely with its legendary Director-General Lord Reith, and he compares the man he knew with the historical figure Reith has now become. The book also deals with 'Pasts, Present, and Futures' – there are many versions of the past and many possible futures, but only one present. This is another exceptional book from an exceptional man. Asa has not only had a long life, but also a remarkably rich and useful one, for which many people will be profoundly grateful. In these three volumes we can get some picture of what his life meant for him, his family and his many friends, and with it a comprehensive story of the times in which we live. The former official historian of the BBC, who worked with the legendary Lord Reith, has produced this third volume of reminiscences. A remarkable memoir full of fascinating anecdotes, musings on historic events, and landmarks in his own extraordinary life and career. In the centenary of the outbreak of the First World War, distinguished Historian, Cambridge graduate and Bletchley Park code-breaker Briggs examines the relationship between memory and history, positing that there are multiple versions of the past and many possible futures - but only one present. Against the background of a century of political and social change, bringing in his establishment of a science faculty as Vice Chancellor of the University of Sussex, he showcases his infectious enthusiasm for the history of retail. Absorbing, entertaining, endlessly surprising and thought-provoking, this is a remarkable portrait of a remarkable life. As seen in Sussex Local Magazine. Lord Asa Briggs sadly passed away in March 2016. He is still regarded as one of the most highly respected British historians. During his life, he dedicated his time to history and improving education for others, helping to establish the Open University and Sussex University. During World War II he worked at the code-breaking station at Bletchley Park. He is the author of Victorian People, Victorian Cities and Victorian Things. He has also written a five volume history of broadcasting in the United Kingdom. He was made a life peer in 1976.